Buying a gift certificate for a paragliding flight with FlyTicino is easy! Simply click on the payment method you prefer to use. A new page will open with a form to be filled. By submitting the form you can finalize your purchase. The gift voucher can be purchased at the same options and costs as indicated on our Prices Page. Within 24 hours of receiving your payment, we will send you the printable gift voucher directly to your email address. Payments by bank transfer are free, while payments made by credit card are increased by CHF 9 to cover the processing fees. The passenger can choose the date and the location of the paragliding flight, based on his/her preferences. 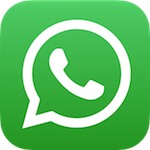 To arrange the details in general it is sufficient to contact FlyTicino a few days before the desired date. The voucher can be transferred to a third party for free. The voucher is valid for 2 years from the purchase date and entitles the holder to one flight with FlyTicino. Surprise your loved ones by gifting them with a truly unique and magical experience! 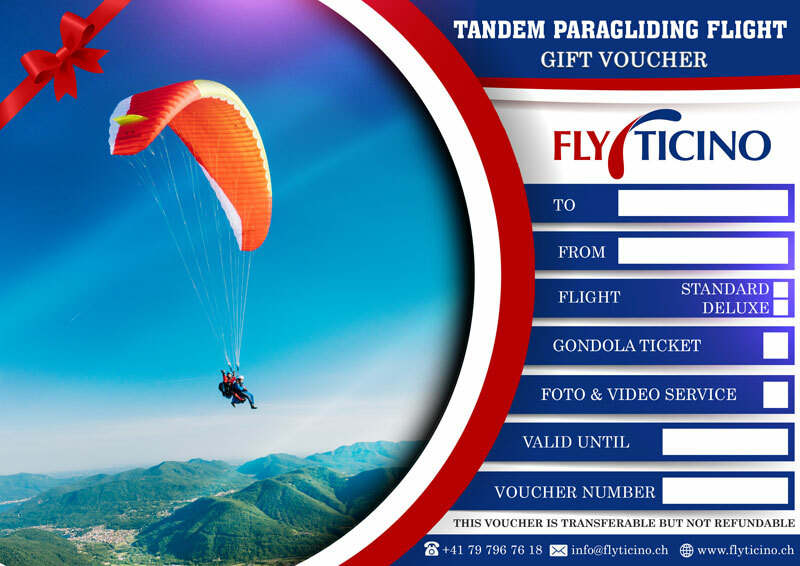 A gift voucher for a paragliding tandem flight with FlyTicino is a special and original gift, suitable for any occasion! Our team of highly qualified tandem pilots will make sure to make your present the experience of a lifetime! No particular skills are required for paraglading, and there are no age limits. With a little bit of courage, everyone can experience this wonderful adventure in the beautiful skies of Ticino! 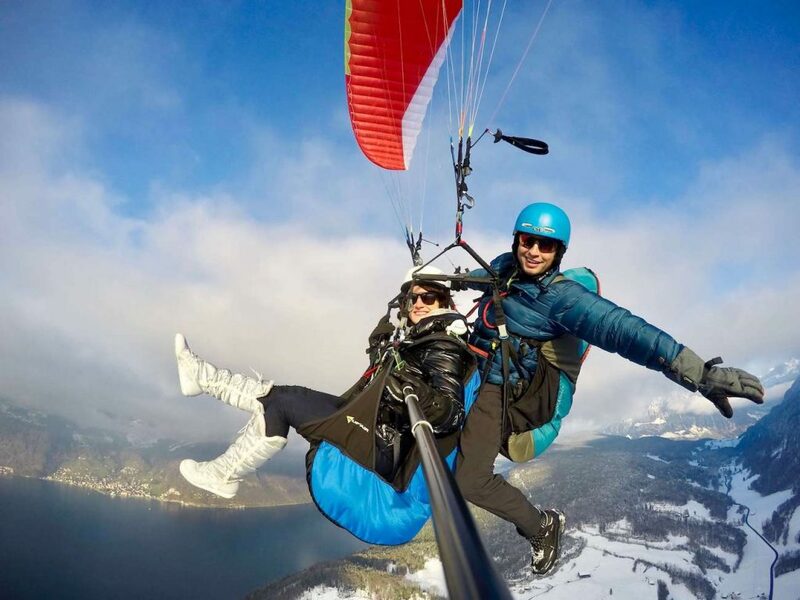 During the whole flight the passenger will be firmly tied to a highly-trained tandem pilot, with whom he will safely fly above mountains, lakes and pristine forests, touching clouds that look like whipped cream! A voucher for a paragliding flight from Cimetta, Monte Lema or other beautiful Ticino mountains is simply the most beautiful gift there is! There will be no room for concerns but only for a lot of fun and unforgettable emotions.